I enjoy getting lost, literally and metaphorically. I love that sensation of disorientation followed by discovery, a frightening freedom. Sometimes, on a family day out, we’ll follow unmarked lanes and see where we end up. I also lose a lot of things – keys, tickets, shoes – much to the irritation of my nearest and dearest so was very keen to read A Field Guide to Getting Lost, a collection of essays about loss, losing and being lost. There are nine meditations in total, inspired by a quote from Meno, one of Plato’s dialogues “How will you go about finding that thing the nature of which is totally unknown to you?” If you just had to read this several times, you’re not alone! 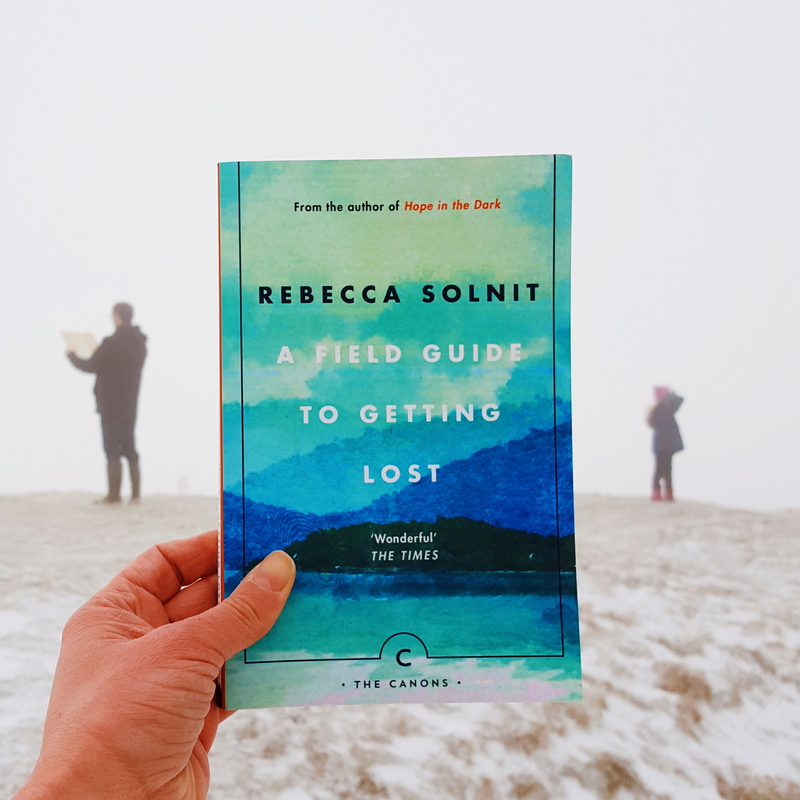 It’s a thought-twister, but as you join Solnit in her contemplations, you begin to get a sense of what she’s searching for. Only by surrendering to uncertainty, do we find out new ways of being. This is my first encounter with Solnit’s writing and I was unprepared for the sheer amount of recollections, ideas and information that she covers in a small distance. Four of the essays are titled The Blue of Distance for “Light at the blue end of the spectrum does not travel the whole distance to us.” It is “the light that gets lost”, but the subjects in each essay are diverse – touching on art history, captivity narratives, country and western music, cartography. In the fourth, there is a fascinating piece about the post-war artist Yves Klein, famous for his exploration of the void. After reading this, I suddenly remembered how I’d been struck dumb by one of his blue monochromes as a teenager. I experienced these flashes of insight many times while reading Solnit’s essays. She has a knack for linking moments and facts so that they set off chain reactions that continue beyond the page – taking you into new territories.